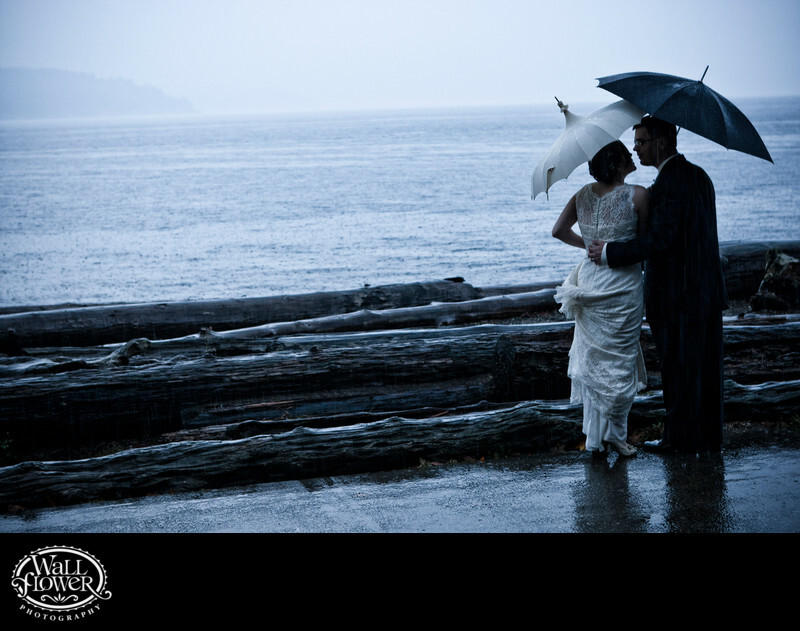 It's no secret that it gets rainy in the Seattle area in November, so it wasn't any big surprise when it poured all day long on this bride and groom's wedding day. We came prepared equipped with umbrellas, and embraced the downpour as being perfectly Washingtonian. We made two stops for portraits in Point Defiance Park: the Japanese Garden and then Owen Beach, where this photo was taken. The image has been partially desaturated (converted to black and white) with some blue tone added.